When you are going to prepare for a SHTF scenario, you have to think about first aid. There might always be a change that you are going to be injured. Even the smallest cut can become infected and can therefore have to potential to become life-threatening. Think about taking a first aid kit, as it has all the basics you will need. In addition, you can pack some painkillers and do not forget to bring your specific medications along. Be sure to check the First Aid section of our prepping list items page. All basics of medications are to be found in nature. You just have to know which plants/trees to use and which to not use. 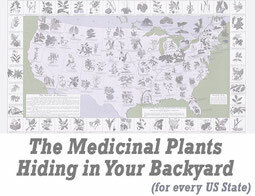 You can invest some time in learning your local plants and how they can help you. Additionally, look up some life-hacks for first aid kits. Think about your surroundings and what you could use as a brace. We would definitely recommend The Lost Book of Remedies. This book details all natures benefits and downsides per state. It will explain not only which plants to pick, but also how you can identify them (pictures includes) in order to be a 100% sure.